Liquid beauty in a jar! Come explore our new Art Philosophy Concentrated Watercolors! 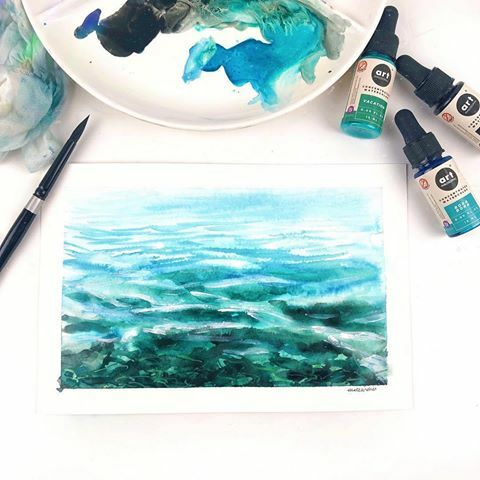 Simple and delightful to use, these beauties are highly-concentrated allowing you to paint with ease, brush letter beautifully, and add stunning color to any watercolor project. With 18 vibrant colors to mix together the possibilities are truly out of this world! Let your local store know these sweet things are available to pre-order today! Shipping begins about August 30th! 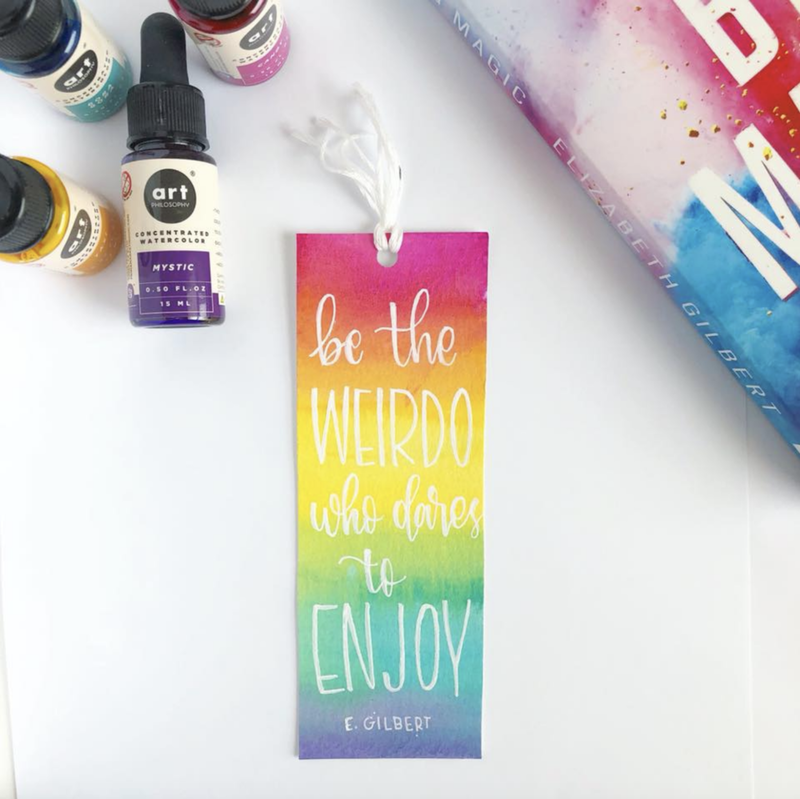 Come watch Addy and Shelley introduce our new liquid watercolors and see how beautifully they are to paint with. And don't throw that pretty packaging away! 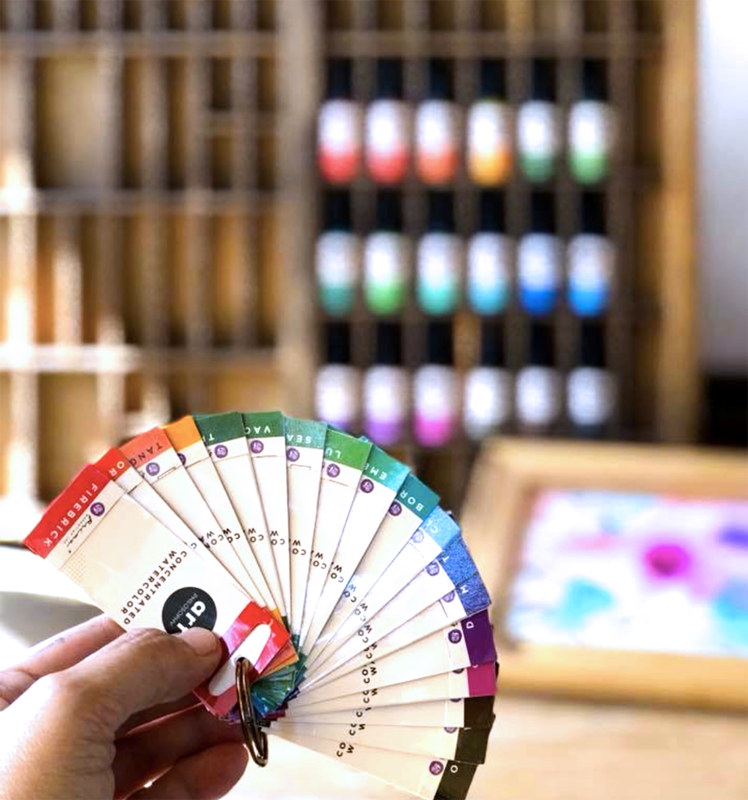 Create your own swatch card out of it like @lilao did! Genius idea!! !